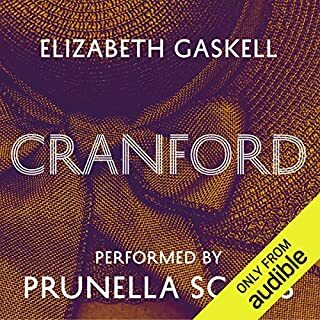 The first of six in Trollope's series of the Chronicles of Barsetshire introducing the fictional cathedral town of Barchester and the characters of Septimus Harding, the Warden, and his son-in-law Archdeacon Grantly. The Warden concerns the moral dilemma of the conscientious Reverend Septimus Harding, who finds himself at the centre of a bitter conflict between defenders of Church privilege and the reformers of the mid-Victorian period. 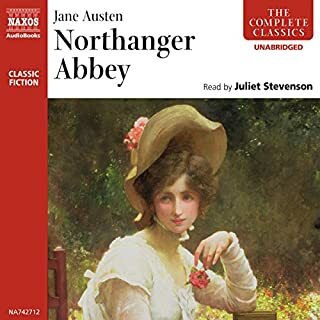 His daughter's suitor, John Bold, is a political radical and passionate reformer who launches a campaign against Harding's management of the financial affairs of the charity, thus shattering the atmosphere of the once tranquil town of Barchester. The scandal is not improved when Harding's indelicate son-in-law, Archdeacon Grantly, leaps to his defence. 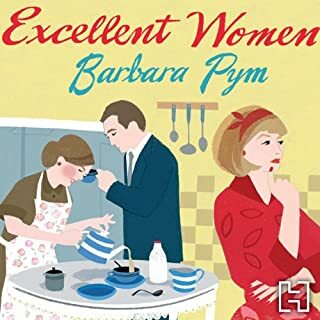 The audiobook is a charming social comedy and love story that portrays life in an English cathedral town whilst looking at the larger social and political issues. 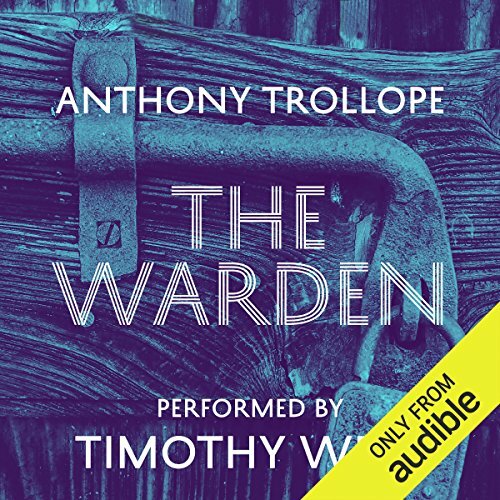 The Warden was Trollope's first literary success which paved the way for him to later leave his career as a Post Office Inspector and become a prolific and much-respected author of the Victorian era. He eventually published 47 novels, many of which are still popular and well-loved today due to their timeless quality and parallels with contemporary society. The word picture painting and the language are the work of a true craftsman. Timothy West imparts a further beauty. He is a magnificent narrator. I am now firmly avowed to continue reading the remaining volumes and choosing the editions in which Mr. West tells the tale. The use of words to express and convey the intricacies of human nature is exceptional. rich descriptions with a dry wit makes for such an enjoyable book. Along with some romance, this is a broadside of satire directed at the gentlemen of the press and of the law. Anthony Trollope beards the lion in its den with this story of the power of a self-important press to inflict great damage on individuals and institutions. Under the guise of public interest reform, a newspaper runs stories which result in the resignation of a decent and kind old man Mr. Harding, as well as the virtual shut down of a charitable, well run, old folk's home. While these are matters of no moment to the newspaper editor except as sensational stories which sells papers, there is real pain and damage inflicted on the innocent. One might conclude from this book: doing what is lawful is not always the same as doing what is right or just. I just love the way this gentle, easily guided, old man takes matters into his own hands and overturns the apple carts and plans of those who considered themselves better suited to guide him than his own principles. Timothy West's performance of this work cannot be praised enough. 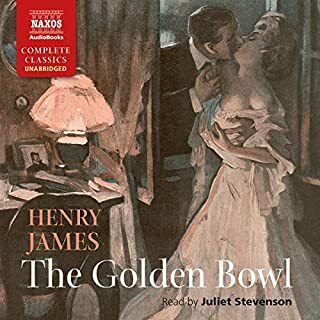 He somehow manages the trick of capturing Trollope's brand of humor and subtle jabs and making it accessible to the listener. This book was written in 1852. I was unaware of A. Trollope until I read a comment about him in a book I recently finished "The Invisible Women" about Ternan and Dickens. I looked him up on Audible and read the various reviews by readers and decided to give him a try. The book is a beautifully written satire. I enjoyed the more flowery language of the Victorian age and I also got side tracked noting the societal change that have occurred since the 1850s. The story is of Reverend Septimus Harding who got caught up in the conflict between defenders of church privilege and the reformers of the Victorian age. Enjoyed the repartee between the characters. Timothy West did a great job narrating the story. The book is simply beautiful and the narration is perfect. A sheer joy from start to end. If you like Trollope, you must read this book and the others in the series. Timothy West is the perfect reader for this work. Brilliant! I just finished a five-month long romp through the entire set of Anthony Trollope's Barchester Chronicles. Each one builds on the last, with earlier characters forming the background for the protagonists of the day. The final book (The Last Chronicle of Barset) is perhaps the best, as he has rounded out his style and he does not give everyone a happy ending. The Warden contains a good bit of social commentary about the power of the press, and in particular the power of a celebrity op-ed columnist. As with all of the books in this set, the characters are vivid and their conversations wonderful. I had not read any of Anthony Trollpe's books previously and now am hooked and working my way through them all... In my opinion, much better than Dickens. 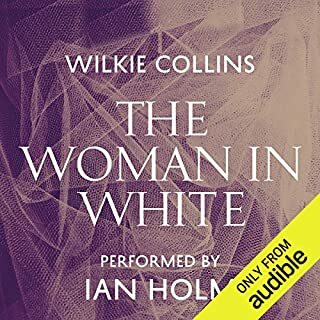 A thoroughly enjoyable "read" and Timothy West is outstanding. Recommended highly. This was an interesting book but the satire is lost on modern readers. You had to know that The Jupiter newspaper was really The Times and that various characters were swipes at Charles Dickens and other authors and journalists for it to be amusing or even to make sense. 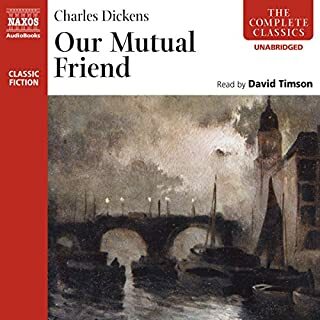 Timothy West does an excellent job as a narrator and I enjoyed the book enough to give the next in the series of the Barchester Chronicles a go but its not really grabbed me ... yet! Absolutely! Timothy West is one of the best readers I've ever heard (going back to "Books on Tape")! Stories are leisurely and engrossing, and I both read AND listen. So much of mid-19th century events and culture resonate with today's world, and I see why Churchill is said to have always had a book by Trollope on hand. New to me, but so glad to have discovered his books. Get a feeling for them with the BBC movies or TV adaptations, then go to the books. 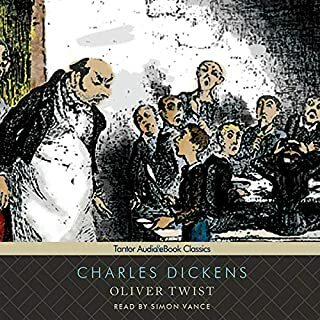 For me right now, Dickens has just a bit better writing, but stories are darker and more intense. Trollope has so many valid insights into different characters' personalities, a few laugh out loud moments, and vivid characters. I like reading them in order, and this is the first of the Barchester series and is one of his shorter novels. Trollope descriptions of place and character are detailed enough (too much so, some say) to make you feel you're right there even though it's a long time ago. I liked this story especially because of the conflict with a newspaper and the "power of the press". Also, the dynamics of a small town and the relationship between church and its people is interesting. Which character – as performed by Timothy West – was your favorite? That's what's so great about Timothy West: he alters his voice just enough so that each character is distinct. He almost always reads as if he is finding it just as interesting as you will. Too long for one setting, but because Trollope issued them in periodicals (as did Dickens), he recaps just a little of the previous chapter so you can continue easily where you left off. 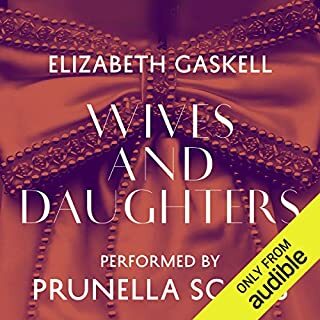 I wish Audible would make it possible to find the BOOK'S chapters rather than the so-called chapters (really sections of the download because it was a long book). It's hard to find where I was or to find a previous chapter if I want to hear it again. This is my second book by Trollope and definitely not the last. Each sentence is beautifully written and frequently witty. I find myself fascinated by the ability of this author to put in words the human condition with all it's excentricities and weaknesses as well as strengths. I often find myself smiling while listening when he not so subtlely describes a character's feelings, weaknesses, fears, whatever. He cuts to the chase and says it like it is but does so in the most beautifully written way. I just love listening to Timothy West. I believe he is reading these novels exactly as they were meant to be read. I intend to continue interspersing these books in between lighter reading of mystery, murder and mayhem! I enjoyed the prose and style of this novel quite a bit. The reader gave good voice to the characters and I especially liked his bombastic style for the newspaper articles and political pamphlets. His characterization of the warden and his son-in-law were just perfect. Took me a little while to get into. For some reason I've never read any Trollope. It was a gentle book, and I was drawn into the story after a few chapters. Well narrated, although there were slightly strange gaps between chapters. A beautiful reading of a tremendously touching novel. Timothy West is an outstanding narrator. It's hard to explain just how good Timothy West's readings of Trollope are. The authorial voice is humane, wise, and various and overcomes Trollope's prosiness and repeated turns of phrase. The characters are all wonderfully done - lively and distinct without caricature. 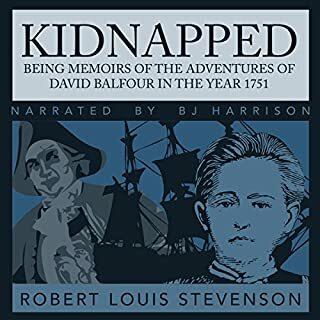 This is how audiobooks should be done - a reader who enhances the books rather than, as so many are, being an obstacle to be endured in order to get at the book behind. Bliss. 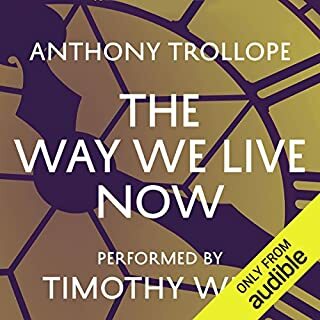 The combination of Timothy West and Trollope has got to be my very favourite Audible experience. Would you consider the audio edition of The Warden to be better than the print version? 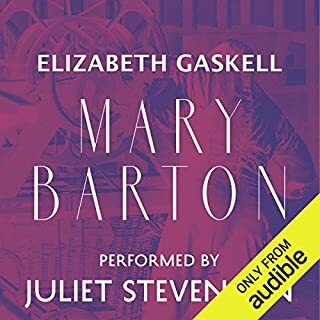 I really do believe that listening to this version of the audio book has been a better experience than reading the printed edition. Having loved the tv series some years ago it was easy to visualise the characters. What was one of the most memorable moments of The Warden? Each scene that contains Dr. Grantley are moments to savour. The humour in how he displays his Victorian Christianity is legendary. The insights that Trollope gives us into the behaviour of the press in the 19th century demonstrates that little has changed in 150 years. Timothy West reads this story majestically. He brings the characters alive, makes the 19th century language easily understandable and his voice is comforting and confidential. So many books can be spoiled by the narrator but I would buy any narrated by Mr. West. The Warden is the sort of tale that makes you smile a lot rather than laugh out loud. It certainly makes the listener consider the behaviours and attitudes of the 19th century communities - so little difference from today. Usually I listen to my books in bed and very often fall asleep but with The Warden I didn't want to miss one word of this entertaining story (even though I already know it). I have savoured it over a full month. Trollope and West together are really that good in my opinion. Buy and enjoy. Excellent! 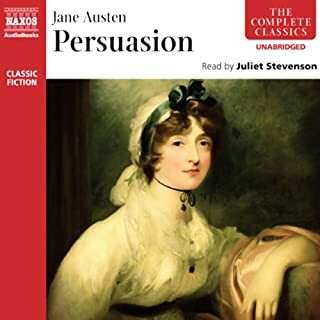 The key moral dilemmas of this novel (church sinecures giving undeserved wealth to fortunate insiders) belong to the nineteenth century and could seem a bit remote today. However, the way that this undeserved money affects the protagonists, their different reactions, the guilt, the temptations and family relationships is universal and timeless. Perhaps a bit goody-goody for today's tastes, a touch sentimental. I enjoyed it, nonetheless, as a gentle summer listen. A holiday in the pleasant surroundings of a Cathedral Close in the 1850s. Timothy West delivers Trollope's elegant sentences with the skill of an actor. Some books are better on the page, but I think this little jewel sparkles more brightly as an audiobook. Timothy West's narration of this book is superb. He has one of those rare voices which, without being over dramatic or forced in any way, holds the listener's attention fully and deals with the complexities of the prose with consummate skill. His reading of the characters is spot on too. 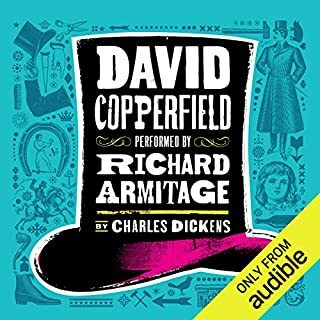 At first sight, the Victorian novel might not seem, for many, to be the most welcoming in style and content, but I would definitely recommend this to anybody who might be new to the genre and to those, like me, who have read the books and wish to add another dimension to their experience. I am looking forward to listening to the remaining five novels in the series. If I have one criticism, it is of the fact that the 'chapters', as listed in the user interface, do not match the chapters in the book. This has led to some difficulty navigating at times. I wonder if it would be possible to rectify this. 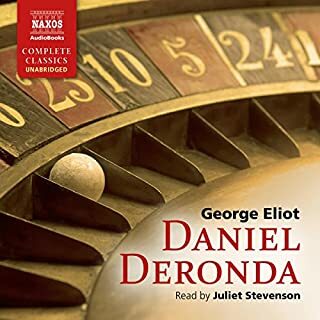 I’m halfway through Trollope’s works on Audible. His stories are excellent, as is his prose, and to have them read to me be Timothy West is an absolute joy. 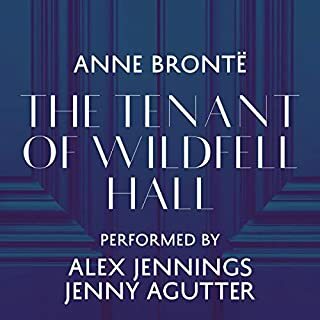 His delivery, his voice and his characterisations make the stories so vivid and enjoyable that I am immersed in the world of both Barchester and the lives and times of the Pallisers. Simply brilliant. Timothy West did excellent narration on this story and brought it alive. Will get more books in series narrated by Timothy West. I hope he will do the full set. and more. The words flowed effortlessly and were a pleasure to listen to. Full of metaphors and eloquent prose. Maybe by today's standard the action was a bit slow. For example chapters 14 and 15 together were only about John Bold visiting Tom Towers to ask a favour - the answer being "no". 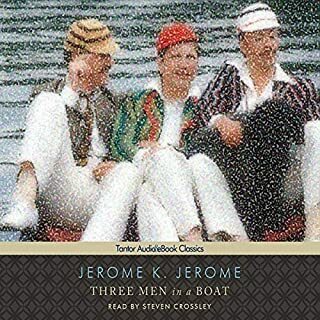 I previously listened to the BBC dramatised version (18 hours 47 minutes for the complete set of 6 books). 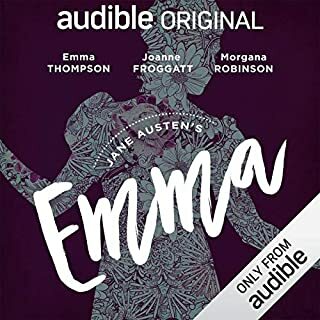 The BBC version definitely adds value for modern ears, but once you learn to appreciate the writing, the original Anthony Trollope version still has a lot of value - if you have time. Timothy West is an excellent narrator. He has no mannerisms which distract from the words he is reading. 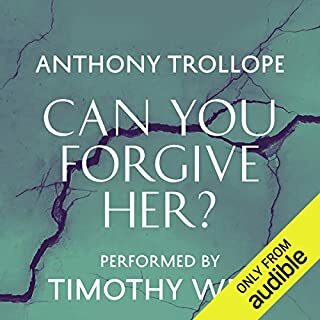 Anthony Trollope read by Timothy West - a finer audible combination it would be hard to find.